The spleen recipe is a spicy and delicious fast food. The spleen has a dry texture. To soften it, it is stuffed with a preparation made with fat, parsley, garlic and spices. Once stuffed, the spleen is cooked according to its origin: lamb spleen is barbecued, beef spleen is baked. Despite the a priori that could harm it, this dish is very popular with the locals, especially in the region of Marrakech. 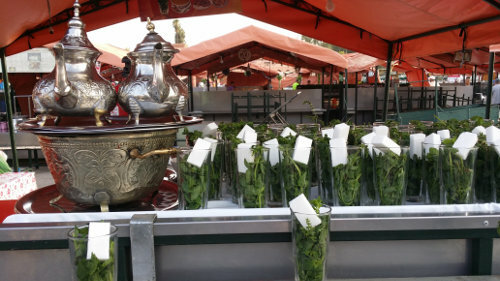 You could find it in the restaurants of the famous "Jamaa El Fna" square. You could taste it on a plate or in a warm bread sandwich, accompanied by a glass of tea of course. 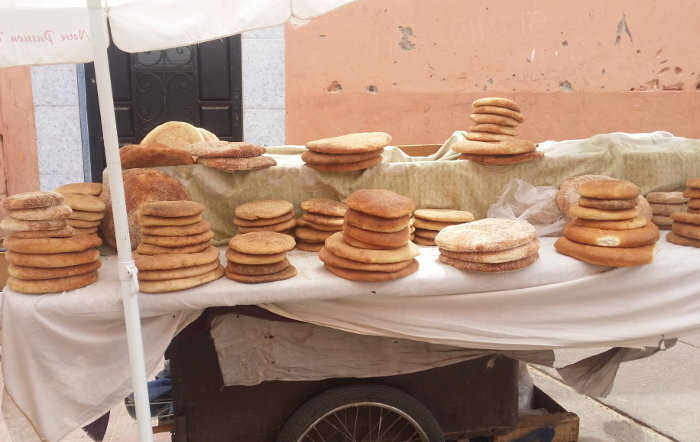 Round or baguette, wheat or barley, big or small, it is hard to choose what kind of bread to buy in Morocco. A very special way to prepare liver skewers. The Boulfaf which could be translated as the "wrapped" is an essential of the feast of "Eid El Kebir" in Morocco. [autoTrans]<br>In general, this specialty is prepared in the homes especially during the time of the festival of the sheep with offal still fresh which one cooking to obtain a kind of spicy stew with pieces of guts, lungs, liver and heart . The only seasoning for the minced meat is the "Smen" (rancid butter). It brings all the flavors needed to make this dish a Moroccan particularity. Moroccan cow trotters (hargma or koriin) are traditionally prepared for big days, parties or family reunions. 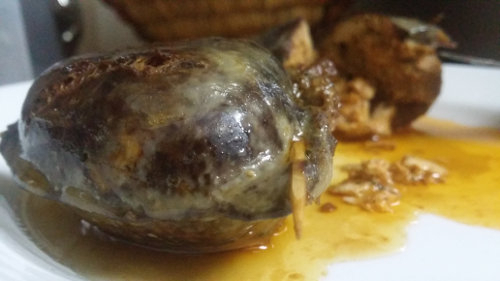 They are part of the culinary heritage of Morocco and are considered one of the prestigious dishes of which the Moroccans are particularly proud.